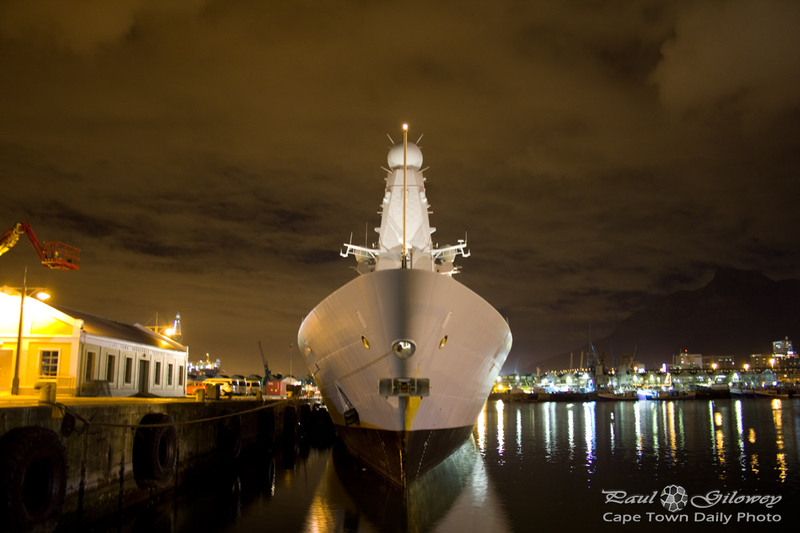 I'm not sure of its name, but what I do know is that this ship, moored outside of the Table Bay hotel at the V&A Waterfront, belongs to the British Navy. I couldn't see a name on her side, nor were those entering the access-control area willing to speak of her. Perhaps they're on a super-secret mission! Posted in General and tagged harbour, ships, v&a waterfront on Wednesday, 25 July, 2012 by Paul. Chris, you legend. Thanks for the link! Beautiful photo Paul – I just love ships!